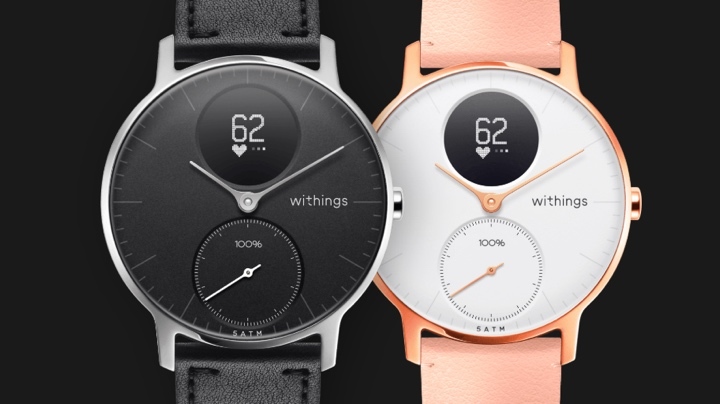 Withings has rolled out a free software update, bringing some of the new features we saw introduced on the Withings Steel HR Sport to the regular Steel HR. The OS2 update adds connected GPS support to the hybrid smartwatch, so you can piggyback off your phone's GPS to map your routes and combine with pace, distance and elevation data. There's also now multi-sport tracking, which means you can select from 30 sports from the watch and get continuous heart rate tracking for that session. Additional new features include smarter notification support, so you can receive notifications from third-party apps on top of call, text, email and event notifications. Last up is for the sleep tracking lovers, with the hybrid now serving up a Sleep Score, assessing the duration, depth, regularity and interruptions during the night. With the arrival of this update, you might be wondering why you'd opt for the Steel HR Sport when the Steel HR can pretty much offer the same features for less money. From a design point of view, the Steel HR comes with a 36mm or 40mm case, while the Steel HR Sport is only available in a 40mm option. On the software front, it looks like the fitness level assessment (via the VO2 Max estimation) is the only extra you get, if you opt for the more expensive HR Sport. We reviewed the Steel HR before Withings co-founder Éric Carreel bought back the company he sold to Nokia, and when it was still rocking the name of the Finnish tech company. We were big fans of the stylish hybrid smartwatch, and with these new features, it's made the hybrid an even more attractive prospect for those who don't want to go all in on a touchscreen smartwatch like the Apple Watch or the Fitbit Versa. Does this update also affect the Nokia Steel HR or only Withings' products?